Appearance (0-20): So I’m sitting there looking at the 5 inch perfecto and thinking, this looks cool. 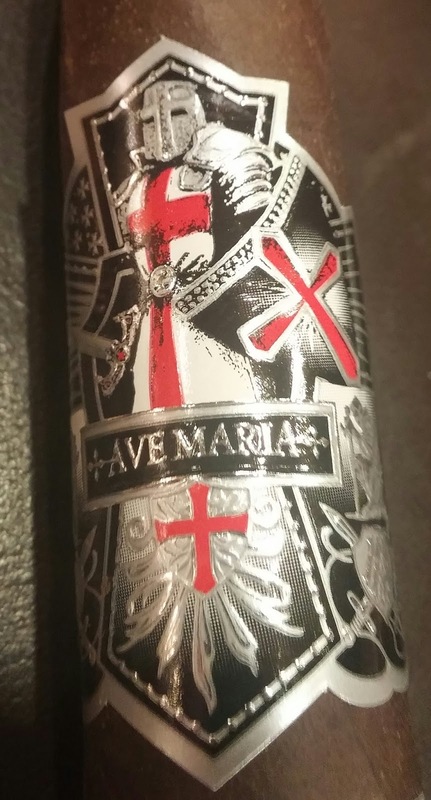 It’s got the standard Ave Maria band on the top in silver and the bottom band has the namesake – Argentum. The wrapper, however, is deep in color and really sets well against the silver of the bands. Construction (0-20): Perfectos are notoriously hard to get right. However, this small little bomb seems to be done pretty well. There are some minor veins along the wrapper, but nothing to get too worked up about. It’s tightly wrapped and feels firm to the touch. The initial cut revealed just a small amount of debris. After lighting up, it held the ash for about an inch and a half at a clip. Strength (0-20): Medium to full. 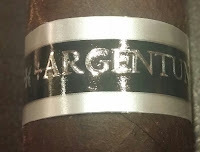 It sticks very closely to that range through the entire cigar, though has some more leanings toward the full range. Flavor (0-20): The Argentum is an interesting one in terms of flavor. At first there is a heavy dark espresso flavor that mixes with a bit of hint of creaminess. 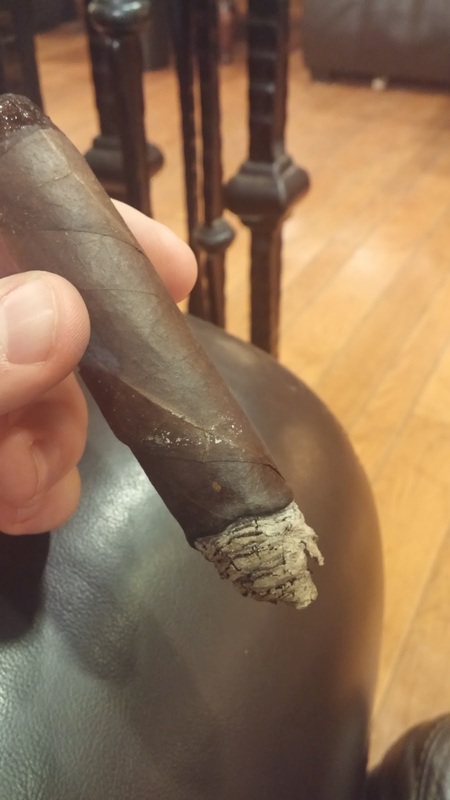 Quickly you’ll find a dark chocolate join the fray to add to the already rich cigar. At about the midway point both the espresso and dark chocolate step back a hair and it allows for a leathery flavor to merge in. throughout you can taste a slight spice, but it’s barely noticeable unless you’re looking for it. Overall its clean and crisp. Value (0-20): $8 for a 5 inch perfecto? You would be surprised. This one is worth the cost. Additional Notes: Paired with water. Provided by Cigars International. Overall (0-100): The Ave Maria Argentum is a solid cigar. Now that we have gotten the obvious out of the way let’s get to the less obvious stuff. 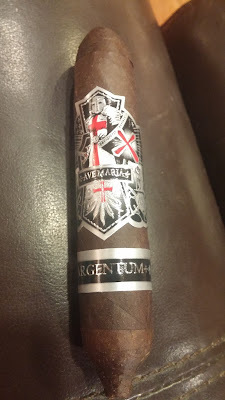 The guts of this cigar are similar to that of the original Reconquista. What does that mean to you? 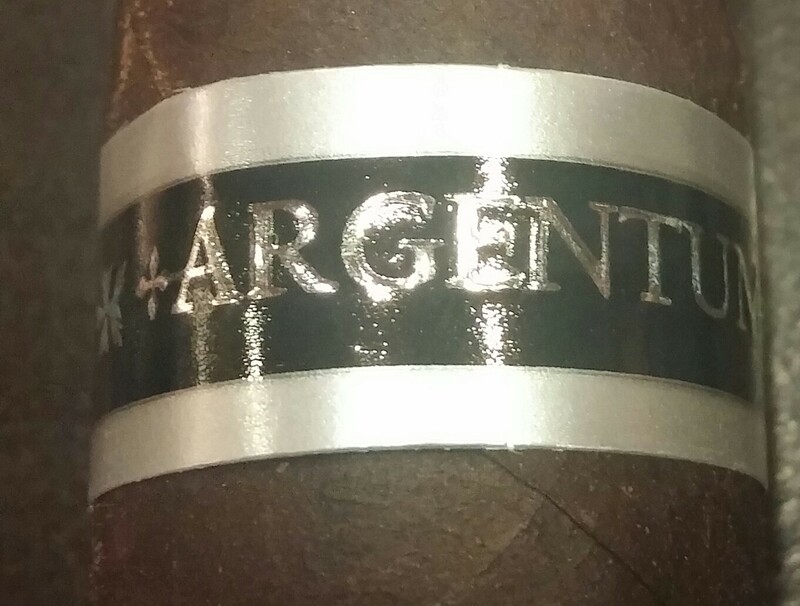 You are getting almost the same flavor profile and complexity that you received in a highly praised cigar. The difference is that it’s in a different wrapper, perfecto shape, and all of those flavors have been crammed into a 5 inch stick. It means a slightly toned down version with a lesser price tag associated with it. Instead of paying almost $17 a stick for a similar experience – you’re paying $8.40.